sick fork and sick bike. How do you like the 5th element? Thanks. Not run-in yet. 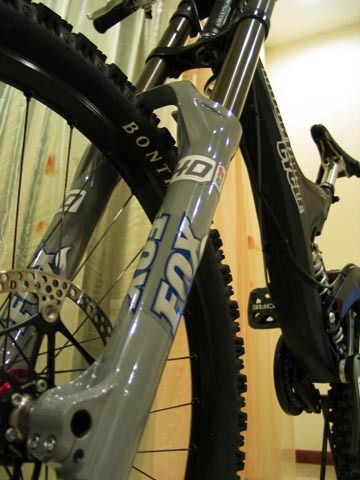 I would like to get a Fox DHX 5.0. Is it a better than 5th Element? Any idea? Sweet Rig. May I suggest getting the floating rear brake kit. The floater makes all the difference. I have been using the 5Th on my 9.5 for over a year now without any problems. What does it weigh? Enjoy!! Sick bike! Looks like a good match to me. Congrats on your new upgrade! 5'ths tend to feel "dead," while DHX's feel alot more "lively..."
I totally agree. 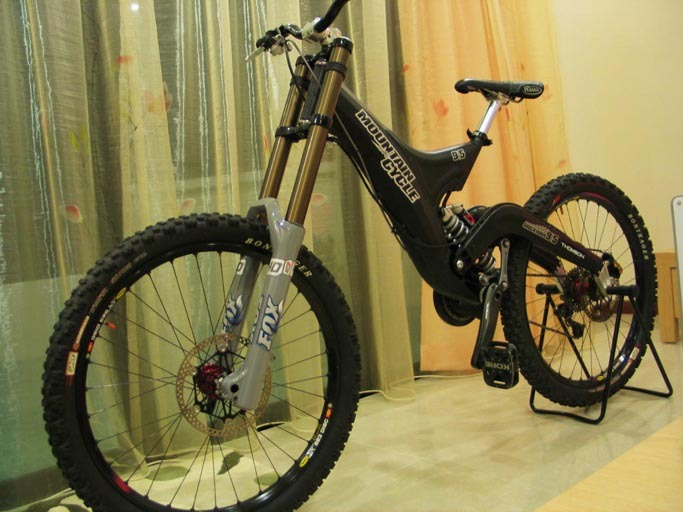 The DHX is far superior plus it's about a half pound lighter. To the wee little BAS$@#DS, I say POGUE MAHONE! Wow, it's amazing how much better Mountain Cycles look when they aren't sporting the much too popular red.